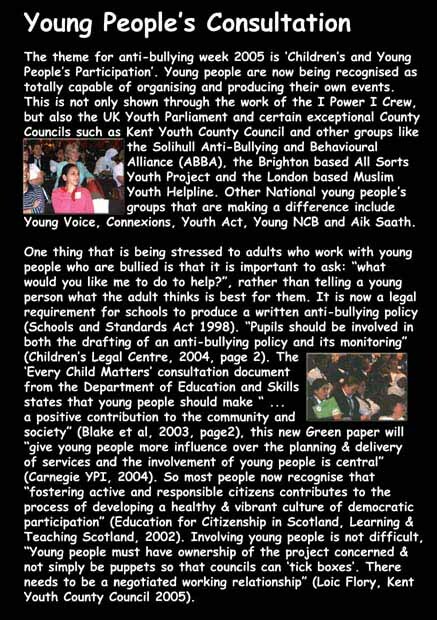 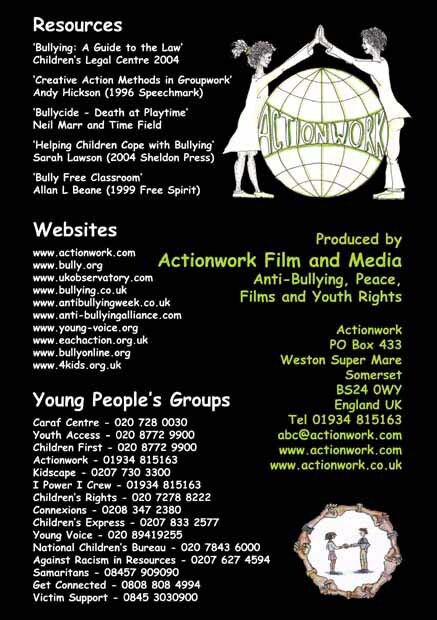 A showcase of ideas and practice about how to tackle bullying from the perspective of young people. 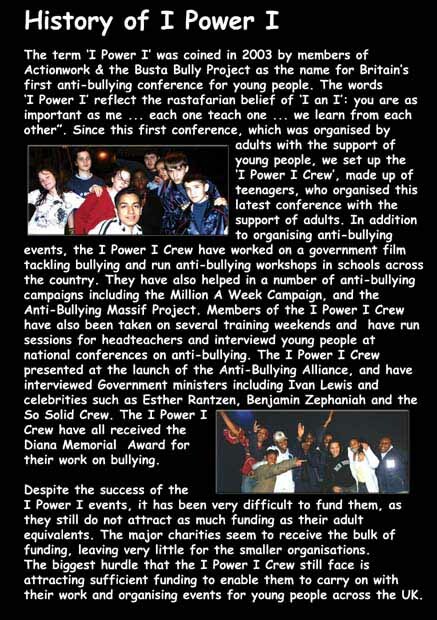 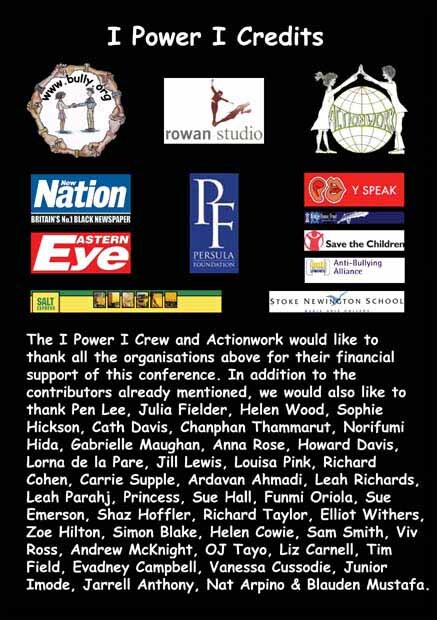 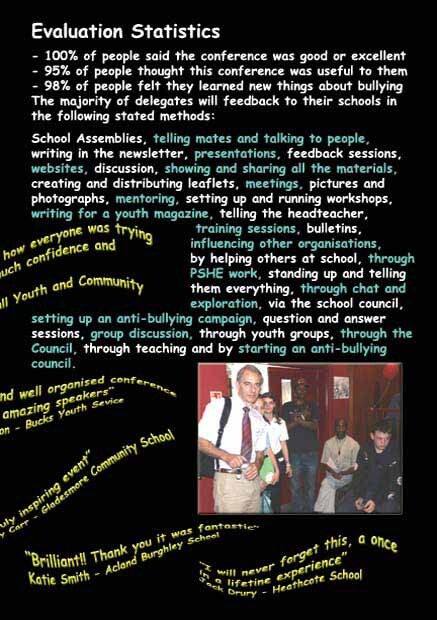 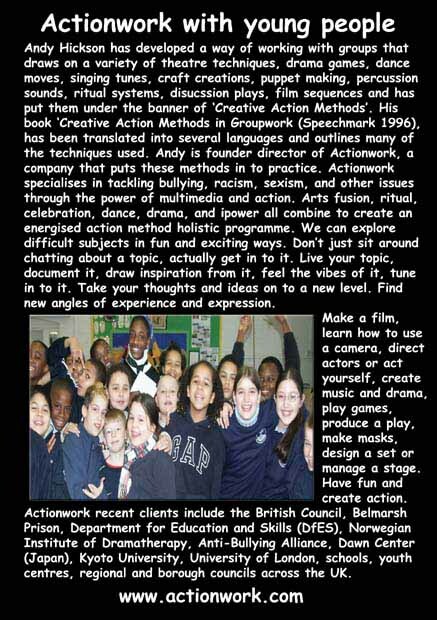 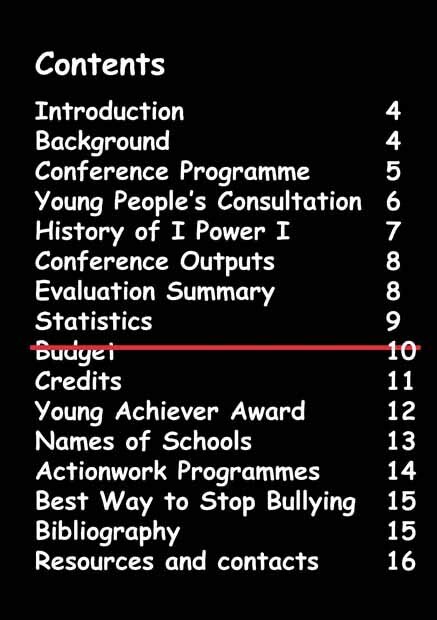 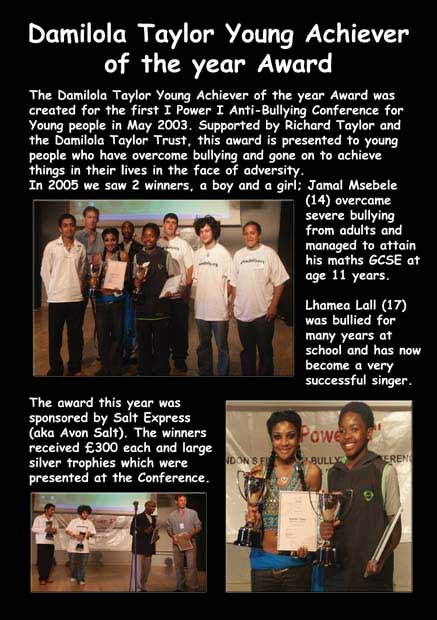 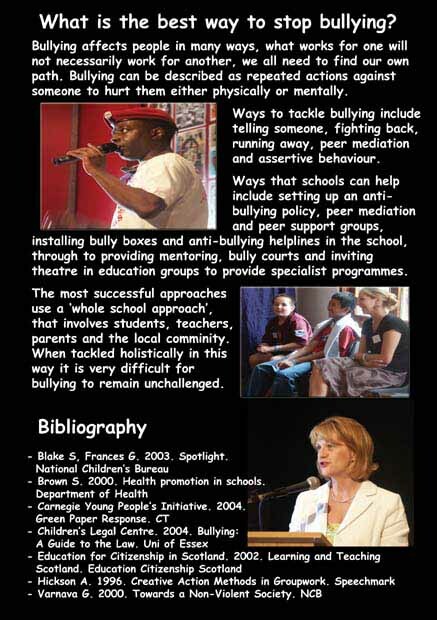 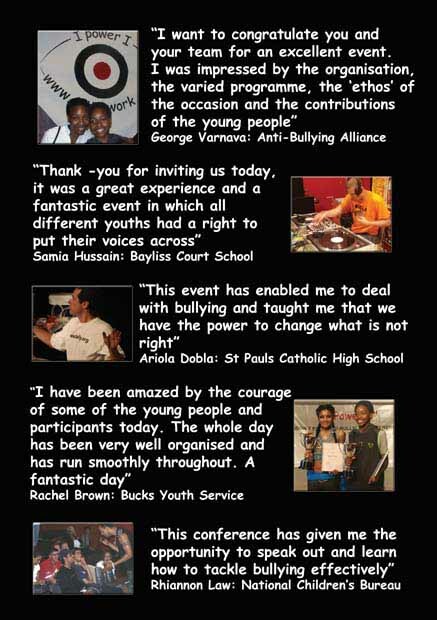 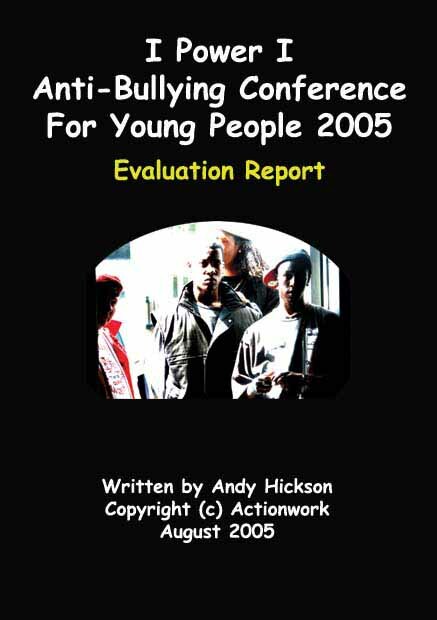 Actionwork produced the first anti-bullying conference for young people in 2003, and continues to pioneer national events for young people. 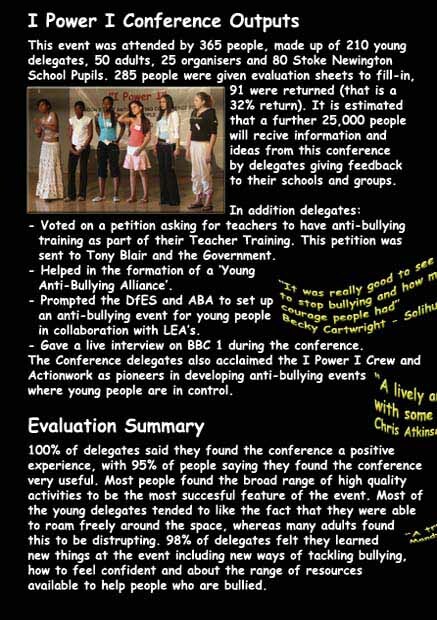 Contributors included: Dr Andy Hickson (Conference Director), Zak Chowdhury (I Power I Crew YMG Director), Mark Emmerson (Stoke Newington School Head), Government Green Paper (Minister Beverley Hughes), Damilola Taylor Young Achiever of the Year Award, Making Rules on Behaviour (George Varnava), Sarah Willet (Department for Education and Skills DfES), Dr Lance Kwesi Lewis (Former World Karate Champion), Poetry by Hannah Pollard, Lhamea Lall (17-year old singer), Reformed Bully (Jack Burns), Young Peer Mentors (Baylis Court School), Role of Samaritans (Courtney Spence), Young Anti-Bullying Group (Holloway School), MC Clash Rappers, Circle of Friends (St Matthias Primary School), The Bully Speaks (Actor Glenn Dallas), Whole School Approach (Sonning Common Primary School), Homophobic Bullying (All Sorts Youth), Award winning songs (Katherine Vernez), Human Beatbox (Freddie Drakes-Thomas), Peer Mentoring (Aik Saath), Bully Courts (Dr Jess Mahdavi), Martial Arts Demonstration (SAS Academy), Young People’s Advice (Hackney City Zen), Kent Youth County Council, Anti-Bullying Behaviour Alliance (Solihull ABBA), Anti-Bullying Alliance (Vanessa Cooper), Bullying and Racism (Muslim Youth Helpline), Peer Listeners (St Pauls School), Power of Pupils (Oli Watts), Ian Whybrow (Childrens Author), Challenging Homophobic Behaviour (Mark Jennet), MC Nobsta Nutts, Lyrickal (Wax Lyrickal), Dance and DJing with Biggafish, Petition with Ben Sayah, UK Observatory, Young NCB, UBG, Newham Bookshop, Bigfoot Theatre, Peter Wendes and Go!, Fairbridge, B.E. 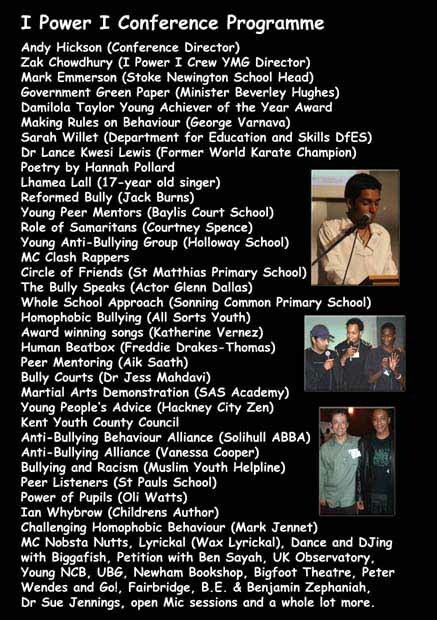 & Benjamin Zephaniah, Dr Sue Jennings and a whole lot more.